Catoctin Creek is a small secondary stream that flows through northeastern Loudoun County and empties into the Potomac near the Route 15 bridge link between Virginia and Point of Rocks, Maryland. Sixteen miles of Catoctin Creek, from Waterford to the Potomac, have been designated a Virginia State Scenic River. 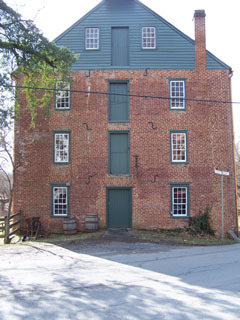 The Catoctin Creek stream valley has many significant historic landmarks, including mills at Waterford and Taylorstown, which are both on the National Register of Historic Places. Numerous buildings and structures are recognized as having state and national significance. The Catoctin Creek stream valley also contains pre-historic Indian archaeological sites.